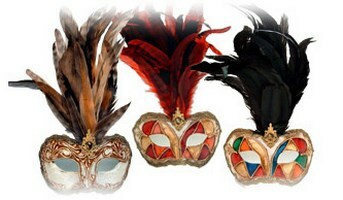 Here are some stunners! 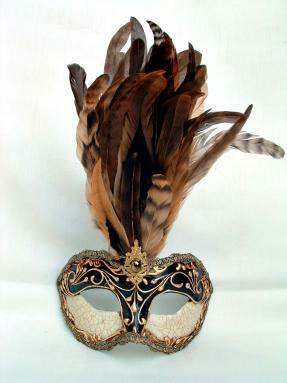 Half face masks adorned with feathers, put these masks in a class of their own. 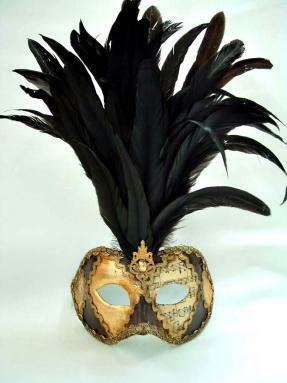 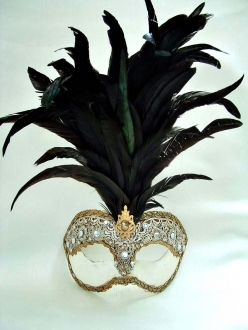 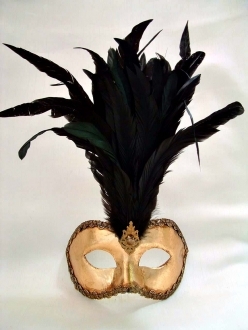 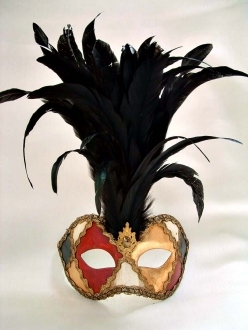 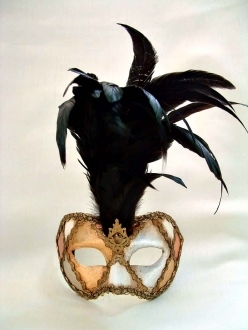 They are intriguingly different and a real standout among the Venetian mask styles. 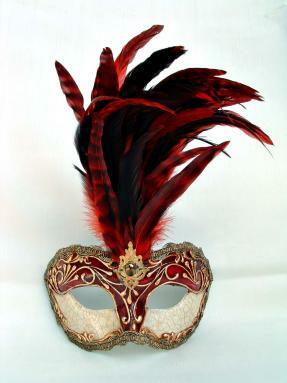 Handmade by Venetian craftsman, the style is timeless though they’ve been made for generations. 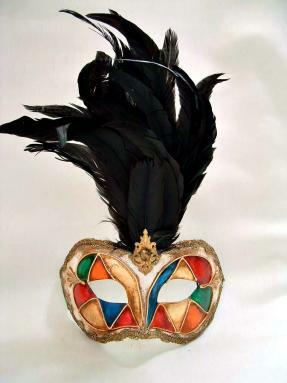 Mask making (and wearing) is taken very seriously in Venice and some families have been crafting Venetian Carnival masks for centuries. 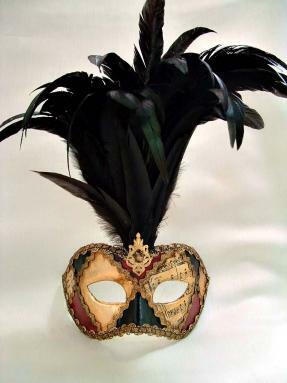 That means you get a piece of art that transcends history, as the skills and designs have been passed down over the years, but the quality, craftsmanship and design has stayed true to its’ origins.